Finally, the must-do, must-visit, must-see travel list given to you by the Parisian friend you ve been longing to have. 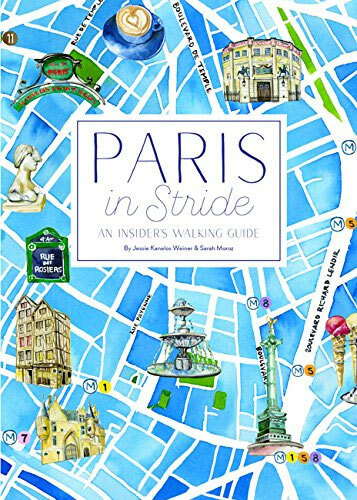 Charmingly illustrated throughout, this practical guide will transport readers to the delightful sites and discoveries of Paris. Vibrant watercolours illustrate destinations including architectural marvels, gardens, historical highlights, cultural hubs, markets, food and wine favourites, and lots of little je ne sais quoi s that make Paris so magical. Cultural musings, accessible histories, anecdotes, and informative details accompany the illustrations throughout, making this volume truly as practical as it is beautiful. The book features seven specially curated daylong walking tours. Winsome watercolour maps of the promenades with colourful icons of suggested sites guide readers through the romantic, winding Parisian streets, passing cafes, historical sights, small galleries, outdoor markets, and the kind of authentic and timeless places that one hopes to find when imagining the city. The careful artistry, insider s musings, and approachable readability both visually and texturally in this book will delight and inspire tourists and armchair travelers alike.